A new national poll from Quinnipiac University shows that a majority Democrats believe the federal government should bail out Detroit, but an even larger majority of Americans oppose such a move. Fifty-one percent of Democrats support Washington providing federal assistance to Detroit, which last month became the largest American city ever to seek bankruptcy protection. 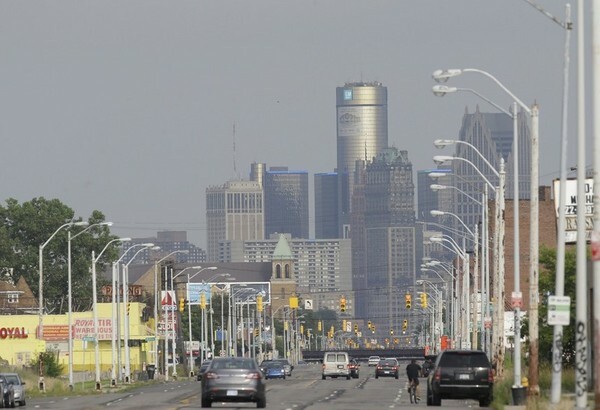 A federal bailout for Detroit is very much a live issue politically. Michigan's congressional Democrats are vowing to find federal assistance for the city, while Republicans such as Kentucky Sen. Rand Paul have declared that Washington will bailout Detroit "over my dead body." On March 14, Republican Gov. Rick Snyder appointed Kevyn Orr as emergency manager of the city. After a four-month review of its disastrous financial situation, which included painstaking negotiations with bondholders, creditors and union employees, Orr and Snyder concluded Chapter 9 bankruptcy was the only option to try to rescue the failing municipality. Bankruptcy papers were filed by Snyder and Orr on July 18, just minutes before lawyers from the unions filed for an injunction to try to stop the bankruptcy from proceeding. At issue is whether a federal bankruptcy court has the jurisdiction to order a restructuring that will almost certainly include a significant reduction in future pension benefits for city workers, something that is currently prohibited by the state constitution.